Project: COREgravel driveway with reclaimed cobble entrance splay and edge. Description:This driveway has really added value and kerb appeal to this fantastic property. 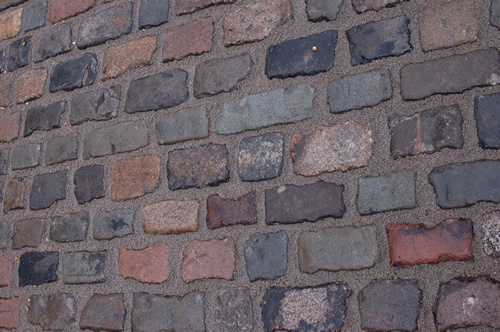 Reclaimed cobbles were painstakingly hand selected & laid to create a really classy look. 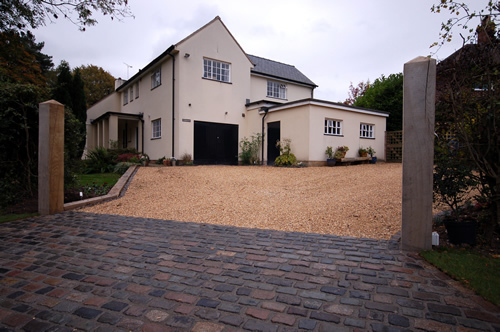 A specialist pointing compound was used to ensure that this driveway will continue to impress for years to come. The COREgravel creates an attractive, practical and cost effective surface which complements the house well. Oak gateposts really set off the driveway nicely.